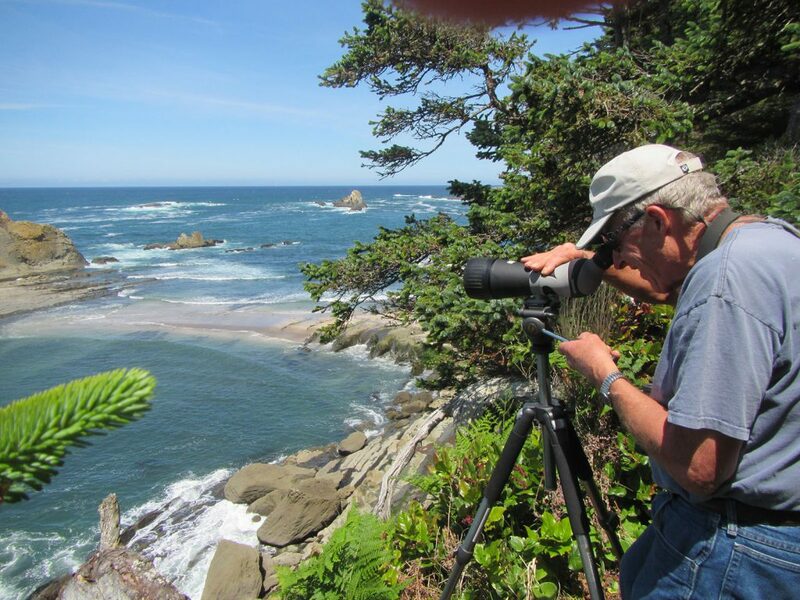 Look and listen for this rare and unique black shorebird on Oregon’s rocky coastline. The black oystercatchers’ wild shrieks rise above the swirling rocky intertidal zone like witches cackling over a cauldron from some Shakespearean tragedy. Dressed in sooty black but sporting a great orange beak that looks a bit like a carrot, bright yellow eyes, pink legs and feet, and black toenails, they are witches with a comic twist. Their calls can sound like raucous laughter at a joke among themselves. What is not a joke is how the oystercatchers help keep the intertidal community in its dynamic balance, just by deciding what they’ll eat for lunch. It goes both ways, because the oystercatcher’s beak is also shaped by the menu. Although some oystercatchers in other parts of the world eat oysters, which gave the birds their common name, black oystercatchers rarely do. 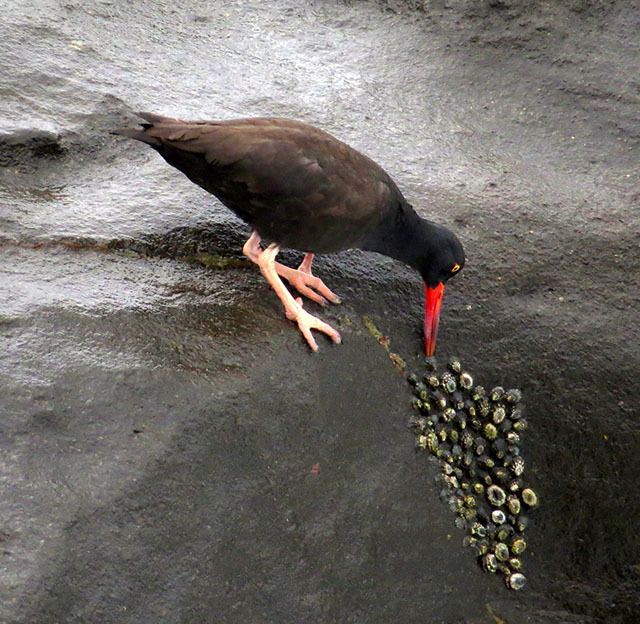 Instead, one of the favorite meals of black oystercatchers along the Pacific Northwest coast are limpets. Limpets are flattened-looking relatives of snails. Like snails, they have a muscular, flattened foot that holds them to the rocks and allows them to move around. The black oystercatchers’ larder is the intertidal zone, where they walk and hop and poke among the rocks, in the seaweed, and around the tide pools during low tide. When they find a suitable limpet, they hammer at the base of the limpet’s shell with that great sturdy beak, knocking the limpet loose. The oystercatcher can then flip the limpet over and enjoy the equivalent of a raw oyster on the half shell. The intertidal zone offers plentiful food for all, although some diners double as entrees for others. However, there isn’t always space at the table. Limpets are tiny bulldozers, clearing the way for new diners. They are grazers, sliding slowly over the rocks, rasping off algae and tiny seaweed starts as they go. 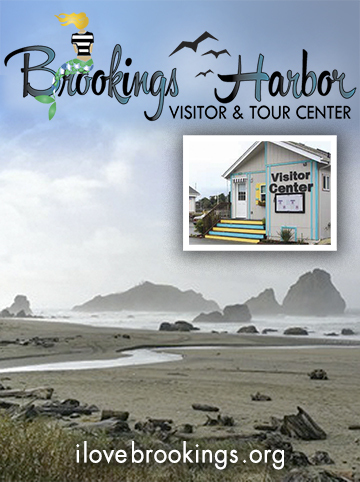 This opens up space by preventing the algae and seaweeds from establishing themselves. 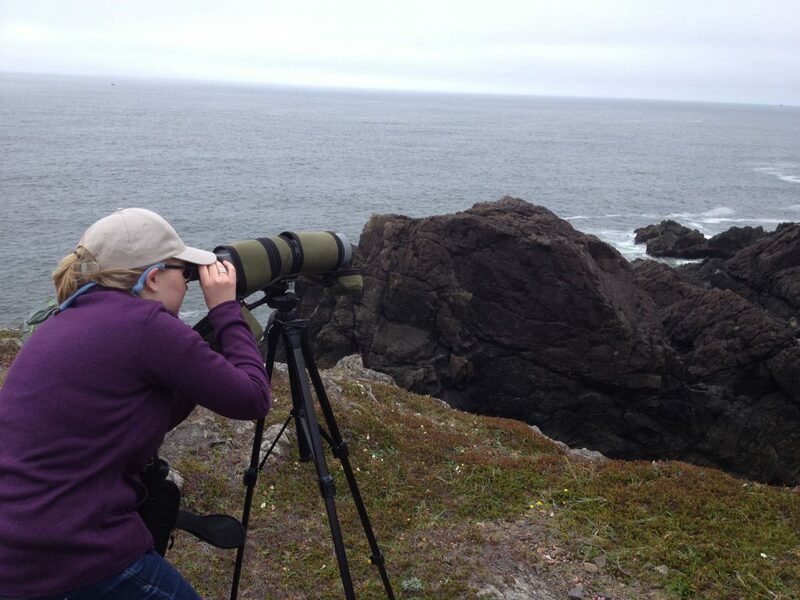 Bare rock is highly sought after, and there is a constant swirl of tiny plants and animals like barnacles and mussels looking to settle out of the water after a vagabond period in the sea. While limpets help open up bare rock space, algae and seaweed provide cover and food for a wide range of animals in the intertidal, from crabs and sea stars that might hide from gulls when the tide is out and fish that feed and hide in the seaweed beds when the tide comes in. The dynamic balance of seaweeds and sessile animals whose lives depend on being firmly stuck to the rocks is maintained by wave action, predators such as sea stars and oystercatchers, and the grazers such as sea urchins, limpets, and snails. 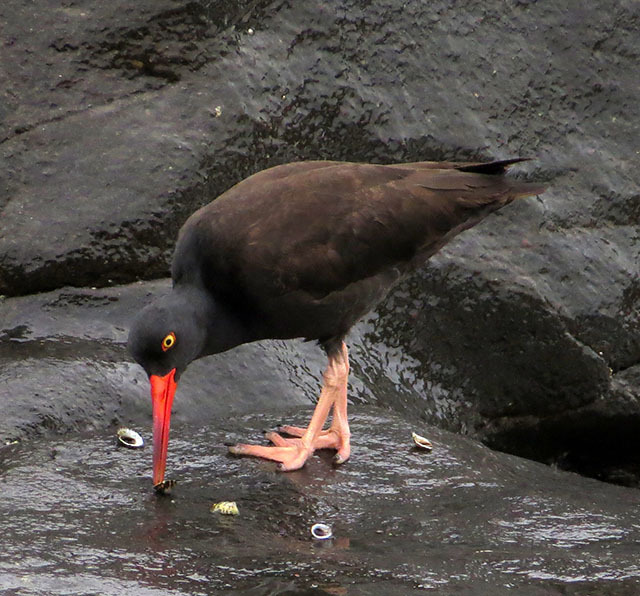 Black oystercatchers are also known to eat mussels, shore crabs, chitons, sea urchins, whelks, and the occasional mole crab. You need different utensils to enjoy a crab dinner than you need for a plate of steamers. Oystercatchers, however, have only one beak. 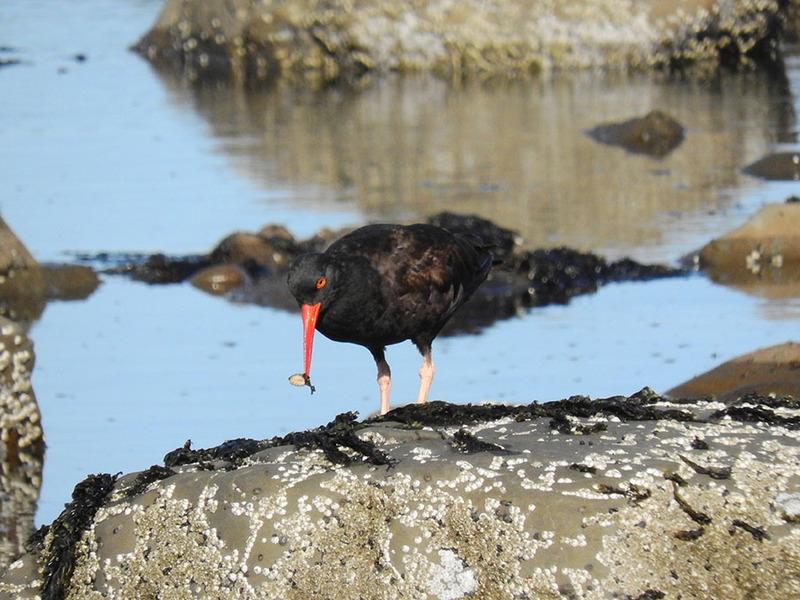 This remarkable beak can change its shape depending on what the oystercatchers are eating. Oystercatcher beaks grow very fast, up to one-sixth of an inch per day. That’s as much as human fingernails grow in a month. The beak gets worn down during the process of obtaining food, and in that process the beak is shaped to the task at hand. Oystercatchers tend to change their diet rather slowly, which allows the beak shape to keep up with the catch of the day. Even with the proper utensils, there are various techniques to getting the good stuff out, as anyone faced with a Dungeness crab can appreciate. Oystercatchers intent on a shellfish dinner either hammer holes in the shells to slice through the adductor muscle, the powerful muscle holding the shells shut, or sneak up on a mussel whose shell is open, quickly stabbing into the interior to cut the adductor muscle. Oystercatchers tend to specialize, with individuals choosing to stab or hammer their dinner. Their beak will reflect their style. It isn’t something that can be learned in a day, or even a week. Whacking a limpet off a rock, let alone stabbing a mussel, takes finesse. 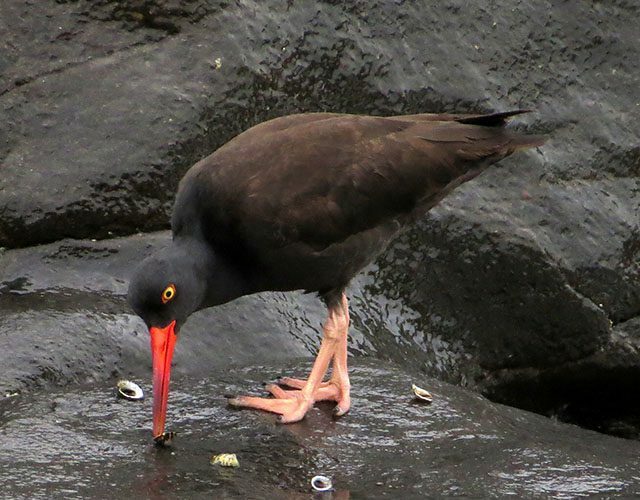 Unlike other shorebirds along the Oregon Coast, black oystercatchers may feed their offspring for more than four months after hatching, sometimes well into winter, while the young birds learn how to handle their own food. Until then, they dine together with their parents. The black oystercatcher’s high-pitched shrieks help the family keep track of one another, and warn other oystercatchers away during the breeding season. 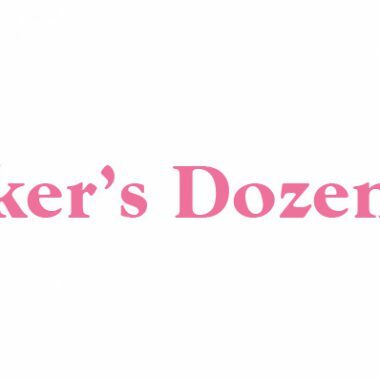 In winter, several families may gather to dine together, forming larger flocks. 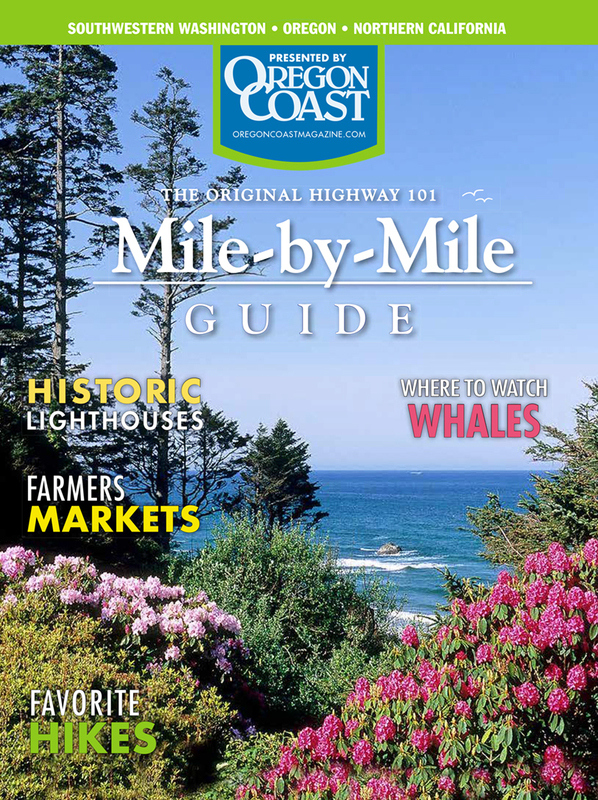 Listen for the oystercatchers’ iconic call at all seasons of the year, a witch’s cackle that strikes terror into the hearts of shellfish along Oregon’s rocky coast.